I always thought that blind-hemming was the only hemming that was acceptable for clothes that would be worn out in public. 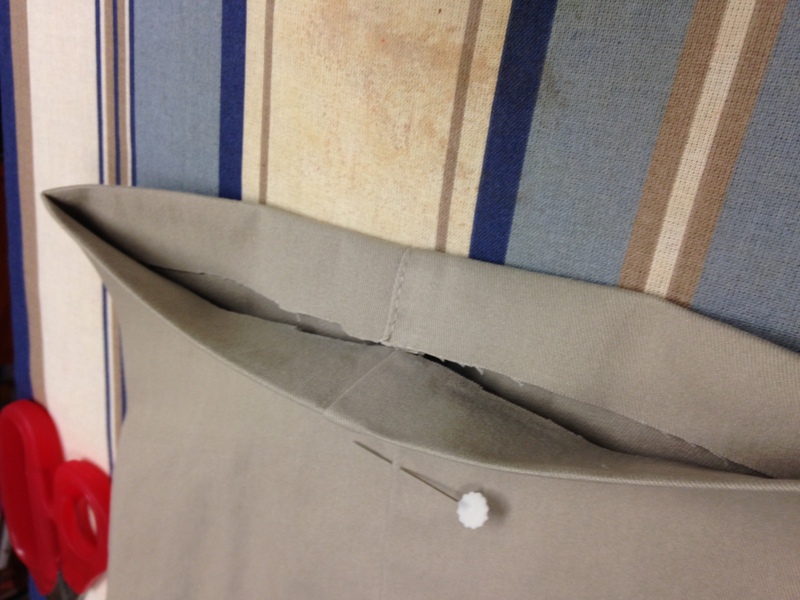 Blind-hemming, to me, was done by hand. 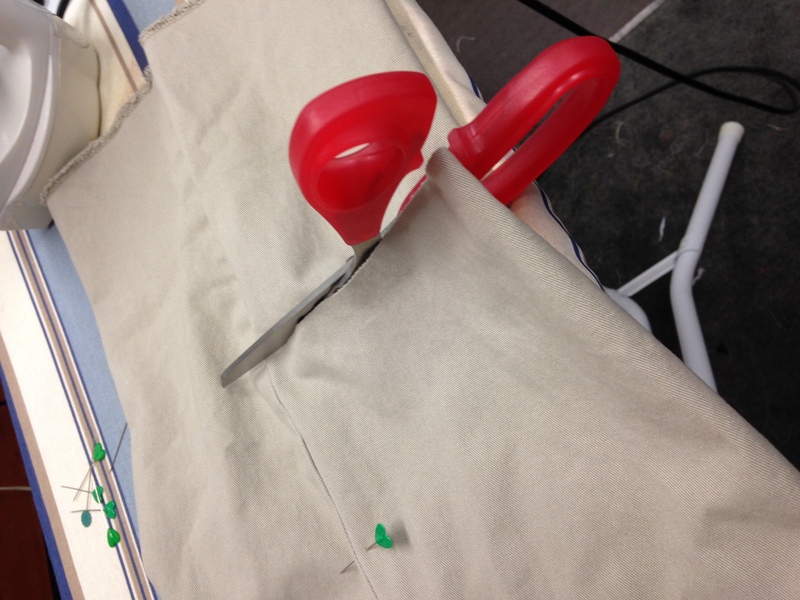 Imagine my surprise, and skepticism, when I found out blind-hemming can be done on a sewing machine! 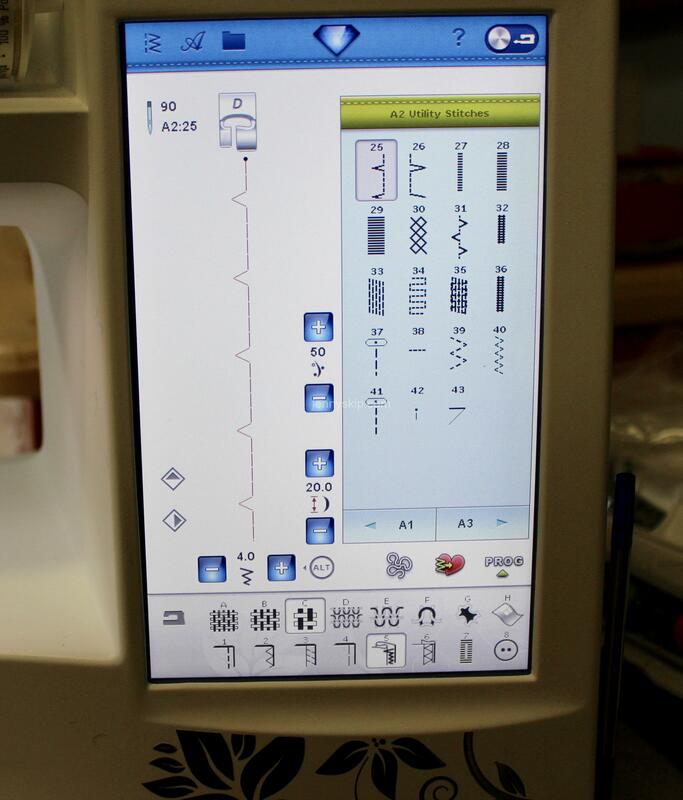 Some machines have a designated blind-hem stitch, some have attachments for blind-hemming. 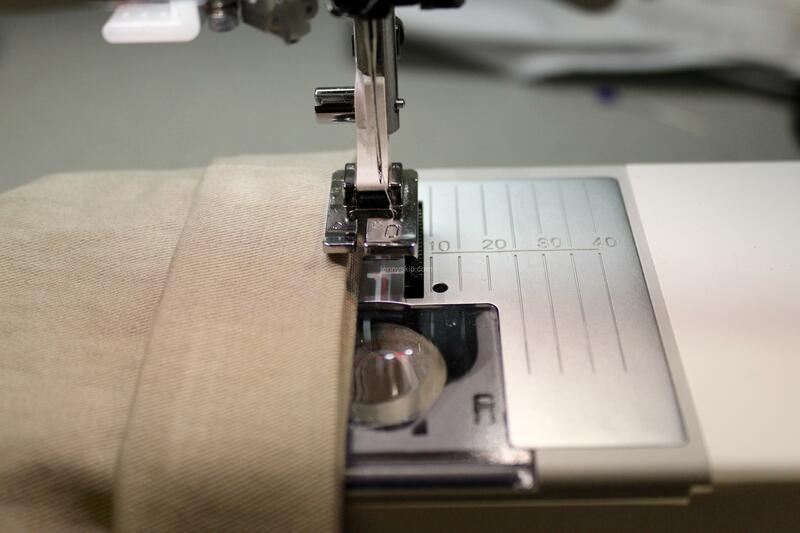 Sewing machines became popular in the 19th Century, but lots of sewing was still done by hand. Hand-sewing is rather an art, wouldn’t you say? I love beautiful hand-embroidery, trapunto, appliqué, quilting. Those fancy stitches make plain old blind-hemming look like a country cousin. We are a couple that is also fascinated by what machines can do. 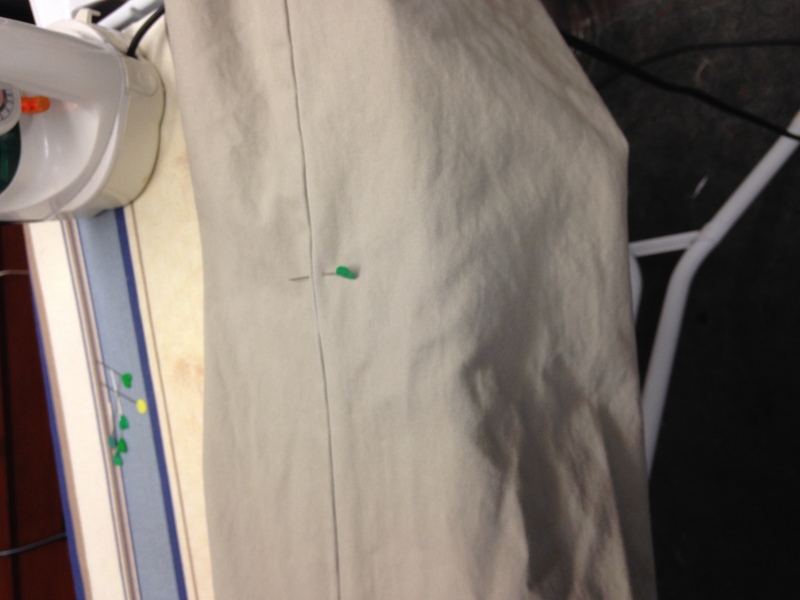 So I decided to give blind-hemming on the sewing machine a try. As luck would have it, Skip had 4 or 5 new pairs of pants that mysteriously came in with no hems at all, and each pant leg was about 5 inches too long. The first step was to get Skip to try them on and say where he wanted the length to be terminated. 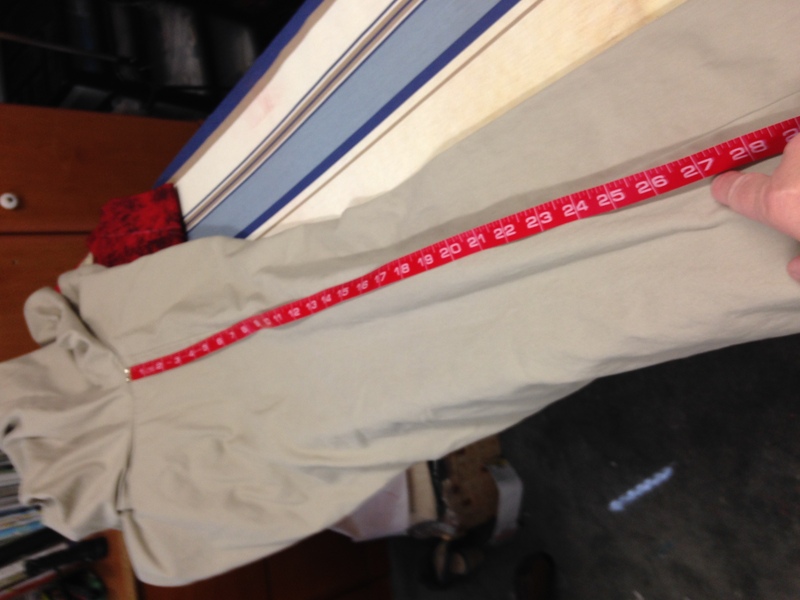 About a year and a half later, we were ready to go to Step 2: measuring the inseam. Next, cut off the excess. 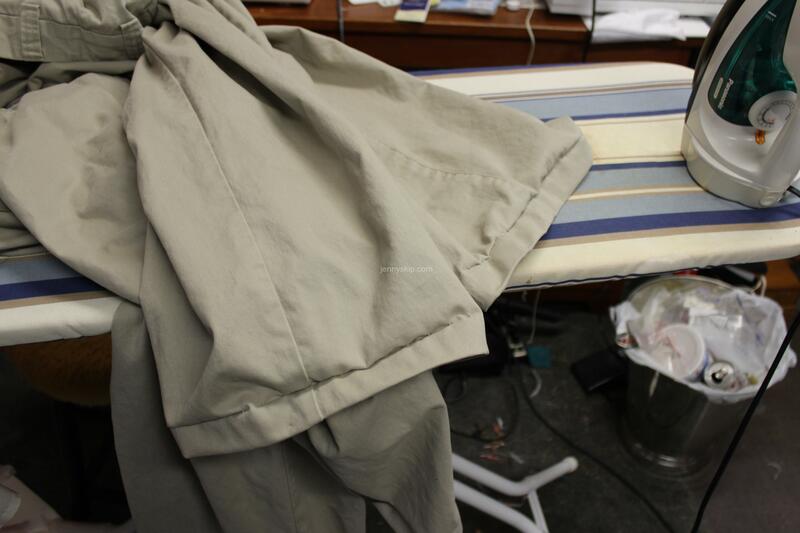 You have to leave some length to make a cuff or turn under. I think a pants hem should be about 3/4 inch to 1 inch. My grandmother taught me that the 2nd joint of my index finger is about an inch long, so I can eyeball that distance as a rough measure. yikes, the cut-off. It’s a little scary. What if I cut it off too short? Oops, I have done that before! To be safer, wash and dry the pants before hemming (if the label says you can do so; don’t wash them if it says: “dry clean only”), and make the inseam a little longer than you think it should be. 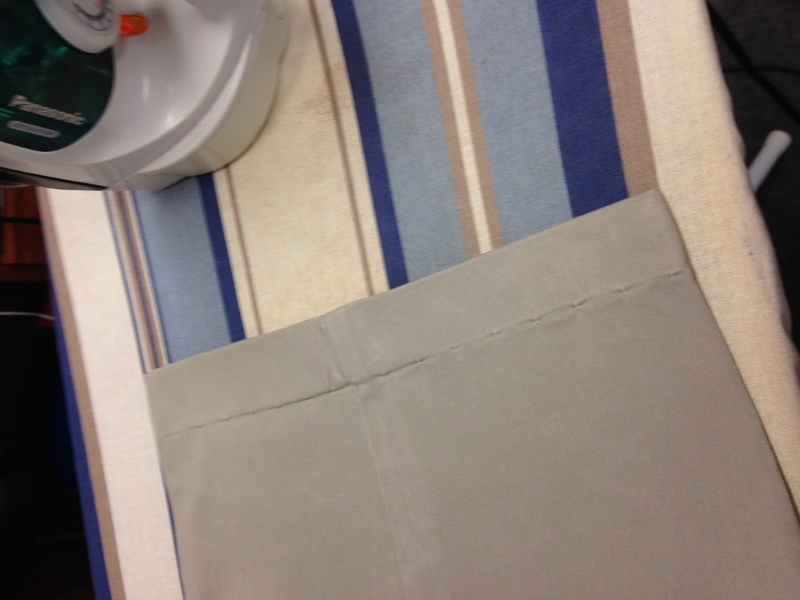 To sew the blind-hem by machine, you take the folded-over-twice hem and fold the outermost fold back in. My machine has a blind-hem foot and a blind-hem stitch that does about 4 straight stitches, then a side stitch, which is the blind-tack. If I were sewing the blind-hem stitch by hand, I would knot the thread, push the needle through the folded hem edge, then attach the thread to the pants with a tiny little stitch that can be barely seen from the outside of the pants, then grab a big stitch from the folded edge of the hem, and again, attach the thread to the pants with a tiny little stitch, grabbing only a thread’s breadth of the pants fabric with the needle. Sometimes people like to forget the pressing. 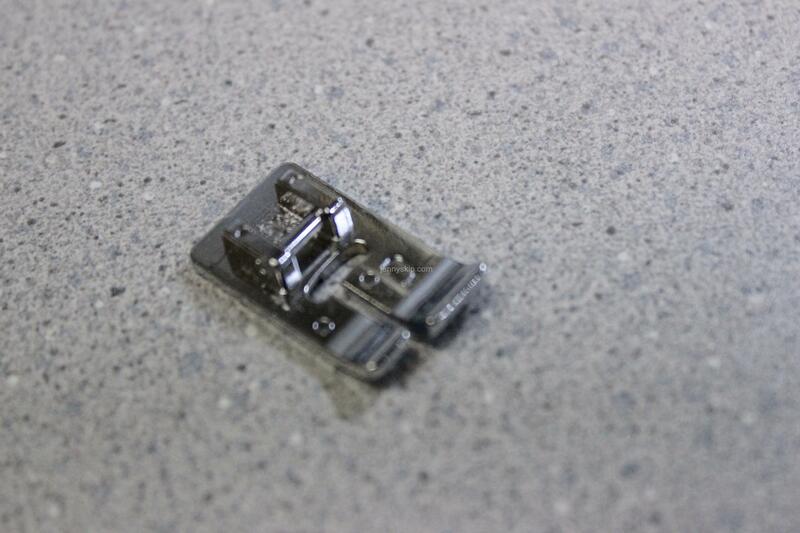 But pressing is important; it makes the difference between shabby and sharp. If you click on the last photo, and zoom up, you’ll be able to see the blind-tack stitches. They are more noticeable than if sewn by hand, but they look ok. They look good enough.